The Blog ofLive. Love. Charleston. Shhhh…It’s too small for the secret to get out. However, I want to share it with all of you! 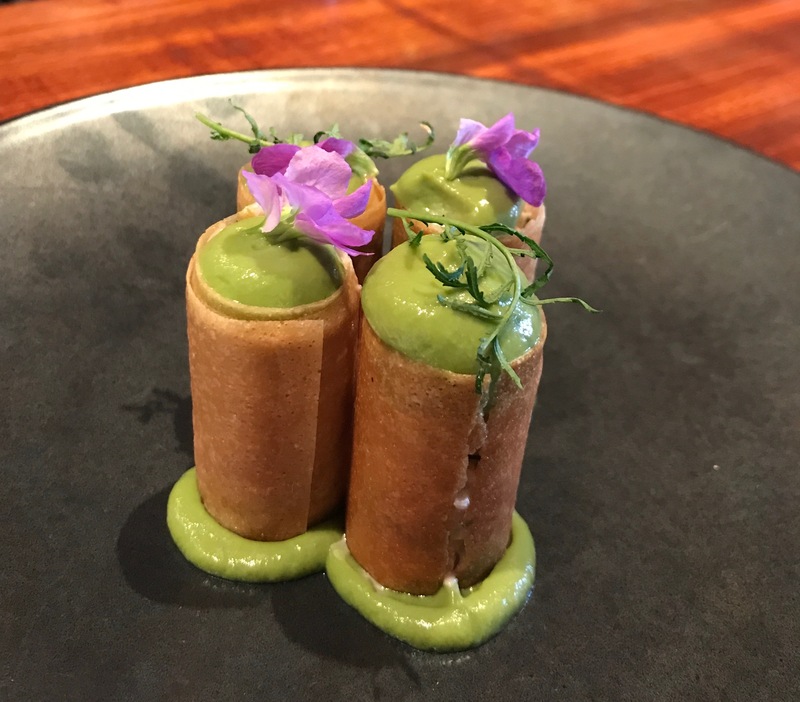 One of my favorite foodie places to go whether you’re in the mood for a fine dining experience in the restaurant or just eats and drinks in the bar! Led by Chef Vinson Petrillo and his culinary team, the fare at Zero George features locally grown and seasonal ingredients which are thoughtfully paired with a curated list of small production, boutique wines and craft cocktails. Zero Bar offers a bistro-style setting and is open every Tuesday through Saturday from 5 pm to 10pm. Here are a couple of my favorite things to get that are always featured on the bar menu. My favorite beverage handcrafted by Kincaid (mixologist) is the Alter Ego…it is a sensational mix of Hendrink’s Gin, Lavender, Lime, Habanero Citrus Foam (Egg White), Burlesque Bitters! Simply divine! Every time I go here for happy hour, I cannot bring myself to depart without indulging in the lobster rolls and the deviled eggs. I think the pictures I took will speak volumes and just so you know, it tastes even better than it looks! 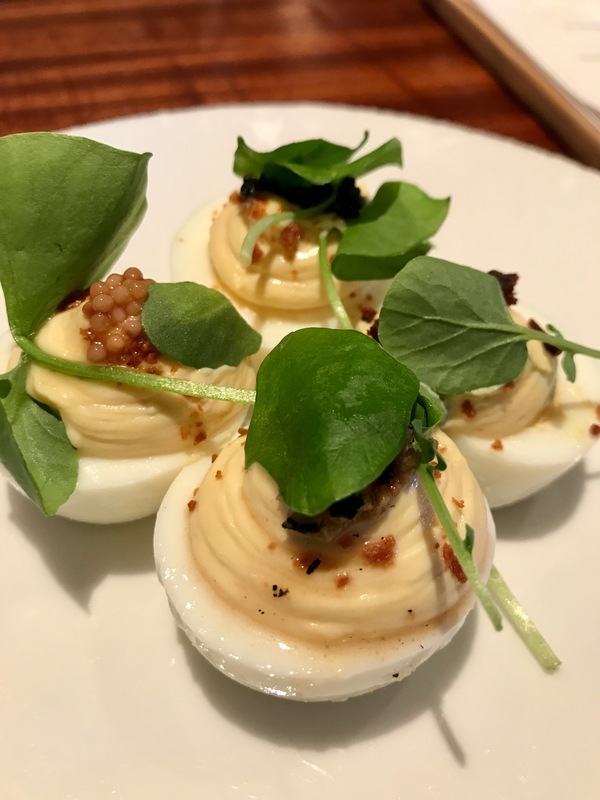 I searched and found the recipe by Chef Vinson Petrillo for deviled eggs…these are without question, the best in Charleston! Just saying! Half hard boiled eggs and carefully remove egg yolks. Set egg whites aside. In food processor, pulse all ingredients until mixed and creamy. Fill egg whites with egg yolk mix. Top deviled eggs with seasonal ingredients like pickled ramps, or Spanish chorizo + chorizo powder, fennel basil and lavender flowers. Prev: What’s My Home Worth? Free Report in 5 minutes!